Following the premier performance of ‘The Venus Papers’ – at Derby LIVE! Assembly Rooms, there will be a short post show discussion with Q&A. Naomi Wilds is a freelance arts producer and literature specialist. She’s also the founder of Adverse Camber – a brilliant company based in Derby who produce national tours of storytelling and music for adults – see http://www.adversecamber.org. In 2009 Naomi was awarded an Independent Producers Bursary from Arts Council England – East Midlands. 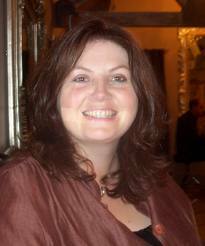 She was Regional Co-ordinator of the East Midlands Literature Network from 2005-2008 and prior to that was Literature Development Officer for Derby City Council where she specialised in cross-artform literature commissions, as well as producing festivals, events and supporting individual writers. Naomi currently also works for Signposts, South Yorkshire, is a Board Member of the National Association for Literature Development, a qualified Audio Description practitioner and trainer and a Professional Development Planner.